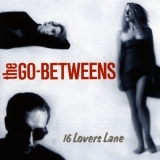 "Cos killers in America, Work seven days a week"
16 Lovers Lane is ranked as the best album by The Go-Betweens. Members who like this album also like: Doolittle by Pixies, The Stone Roses by The Stone Roses and Slanted And Enchanted by Pavement. The tracks on this album have an average rating of 79 out of 100 (all tracks have been rated). 8. Was There Anything I Could Do? Related links: top tracks by The Go-Betweenstop tracks of the 1980s, top tracks of 1988. Showing latest 5 ratings for this album. | Show all 177 ratings for this album. Related links: top albums of the 1980s, top albums of 1988. Certainly an improvement over the last album and ultimately quite good. Why are all the track ratings on this so low? Normally only interludes and tracks that are actually offensively bad get as low as 73, but that's the average for The Devil's Eye, and Love Goes On, the best song on the album, only has a 77. The Go-Betweens had been quietly releasing some very good albums throughout the 1980s, but 16 Lovers Lane is their peak; it features their strongest lineup instrumentally, with new member John Wilsteed officially the bass player but adding lots of guitar parts, and producer Mark Wallis adding an ornate sheen. The album also contains Forster’s most accessible set of songs and McLennan’s most consistent set. The album I want to hear on my deathbed, definitely an injustice that it hasn't dented the top 1000 yet. The best Aussie album ever made, by far. Another gem by this underrated Australian band. Considered by most their best, personally it is my 2nd favorite after "Liberty Belle & the Black Diamond Express", which sounds more edgy and made by the original lineup. For anyone who ever wondered what happened to Badly Drawn Boy, it appears that he time-travelled back to the eighties and joined The Go-betweens. A wonderful collection of no nonsense love songs. The best of the Go-Betweens - and that's no little feat, as almost every G-B album is great. Delightful melancholy pop. Amazing melodists at their peak.